Now you can treat the skin on your body with the same care you give your face. 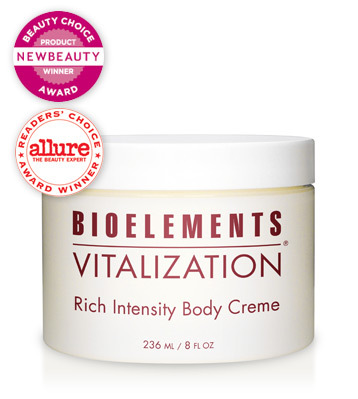 Next-generation Bioelements Vitalization Technology banishes dryness, smoothes away brittle surface cells, restores radiance and encourages a firmer body. All while surrounding your skin with the enticing aroma of ten botanical oils.